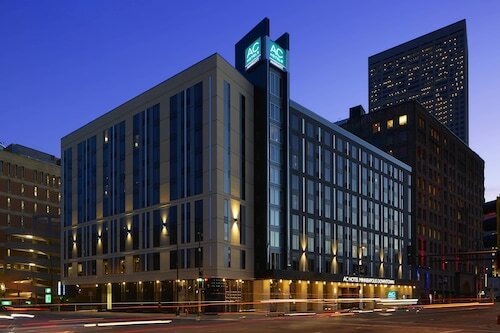 Located in Downtown Minneapolis, this hotel is within a 10-minute walk of Minneapolis City Hall, Minneapolis Public Library-Central Branch, and Hennepin Center for the Arts. U.S. Bank Stadium is 0.8 mi (1.3 km) away. Government Plaza Station is only a 3-minute walk and Nicollet Mall Station is 5 minutes. Looking for some accommodation nearby to Minneapolis Grain Exchange? Minneapolis - St. Paul, the city where you can find it, is a well-loved place to visit no matter what the season. If you would like to stay right where the action is, you'll have plenty of options to choose from. There are about 27 hotels in the immediate vicinity of Minneapolis Grain Exchange. 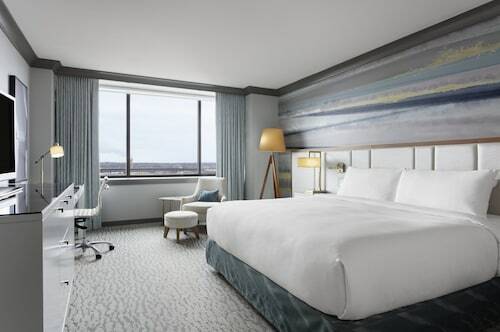 A few places to check out are the Hotel Ivy, a Luxury Collection Hotel, Minneapolis, 0.6 miles (1.0 kilometer) away, the Residence Inn By Marriott Minneapolis Downtown, 0.5 miles (0.8 kilometers) away, and the Loews Minneapolis Hotel, just 0.6 miles (1.0 kilometer) away. You won't be forced to max out your credit card in order to stay at a cheap, yet comfortable hotel. There are a few in the vicinity. Why not opt for one of the Days Inn Hotel on University and the University Inn? Reward yourself by staying at one of the exclusive establishments nearby. 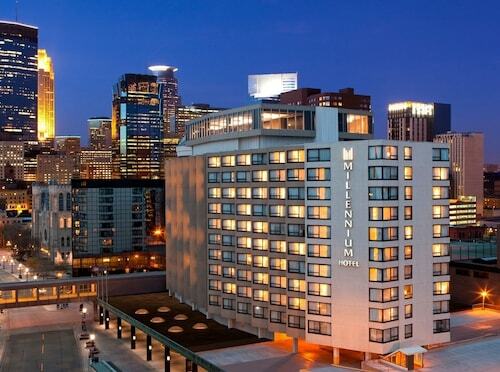 The Radisson Blu Minneapolis Downtown is one of the top-rated places, and it's only 0.5 miles (0.8 kilometers) away. Or, you could check out the Kimpton Grand Hotel Minneapolis, 0.3 miles (0.5 kilometers) away. Traveling can be hard work, and it's even harder without a daily coffee. When you feel like you need a caffeine hit, go and see the barista at Federal Cafe (300 S 4th St # Main, Minneapolis.) Belly still rumbling? Enjoy a more substantial meal at Bar Zia (420 South 4th Street, Minneapolis), only 0.1 miles (0.2 kilometers) away. Take time out of your busy itinerary and head to Minneapolis City Hall. This historic building is of interest to many visitors. Put on your best walking shoes and take on River Road Trail. This picturesque and rewarding hike is an excellent way to immerse yourself in the natural charm of the region. The lovely shores of Minnewaska Lake are the perfect place to breathe in the fresh air and appreciate the beauty of the outdoors. Apart from being a major transport hub, Old Milwaukee Road Depot is also an iconic landmark in the area. The Depot Skating Rink is a popular place to take the family and do something novel. If you want a convenient way to visit Minneapolis Grain Exchange, jump on the train until you reach Target Field Station, the stop that's only 0.8 miles (1.3 kilometers) from your destination. How Much is a Hotel Room in Minneapolis Grain Exchange? 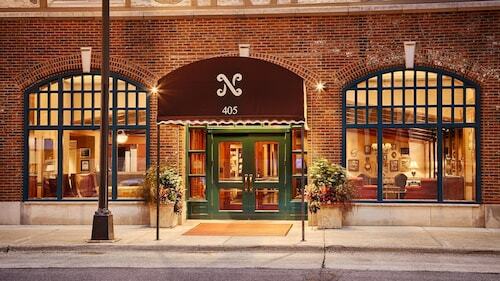 Hotels in Minneapolis Grain Exchange start at $89 per night. Prices and availability subject to change. Additional terms may apply.